Don Rafael Cigars - Buy Premium Cigars Online From 2 Guys Cigars . Don Rafael is the offer of the day cigar, that you can't refuse. 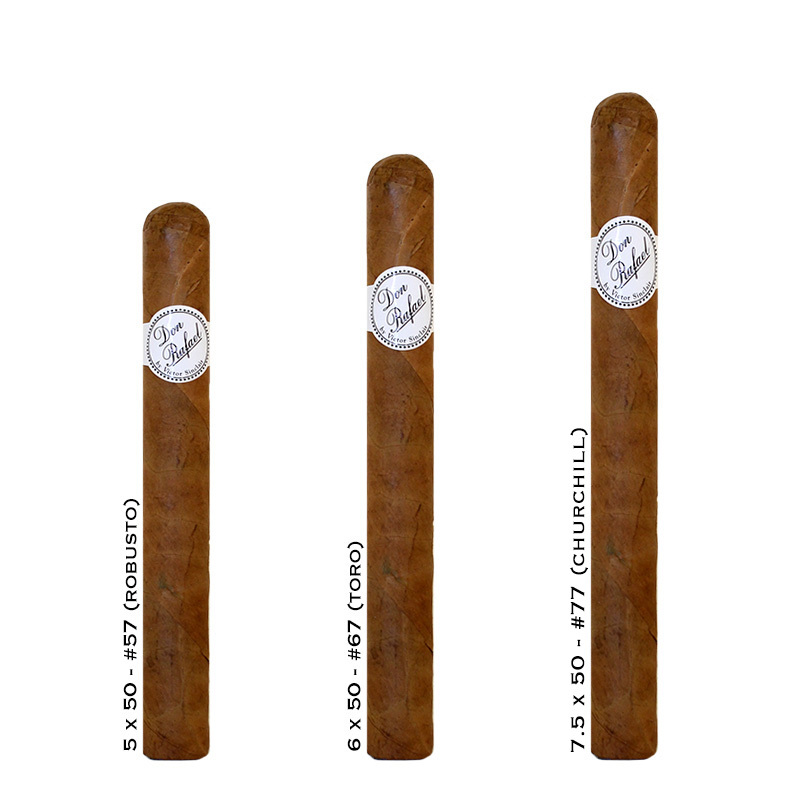 These mild cigars come from the Dominican republic features a delicions three country blend. The wrapper is Connecticut seed grown in Ecuador, the binder from Indonesia and the long-fillers are from the Dominican Republic. When you light up a Don Raphael you are treated to a smooth relaxng experience from its complex flavor profile and easy going aromas.